How ya doing, P-Rockers? Ready to go fly a kite? Friday is Go fly a Kite day, and it should be windy! Who made this day in winter? What a doofus! Obviously not a savvy P-Rocker. But pizza day is Saturday, so it evens out in the end. Oh, and all that warm weather is getting cold again. Sorry, still winter. 1st grade and up are invited to read to a specially trained dog. Who made this day in winter? Join Miss Alexia for stories, songs, and her magic ukulele. On Water Street, a block from the train station, next to the Peekskill Brewery. InDoors @ 1 Bank Street, 10 am – 2 pm, every January 19 thru April 27th. • Don’t see your event listed here? Don’t worry. Send a note to events@peekskill.rocks and we’ll be sure to add it. • Please send by 5pm on Wednesdays, to make sure it gets into the first edition of our weekly round-up. • Or you can post on our Facebook page. 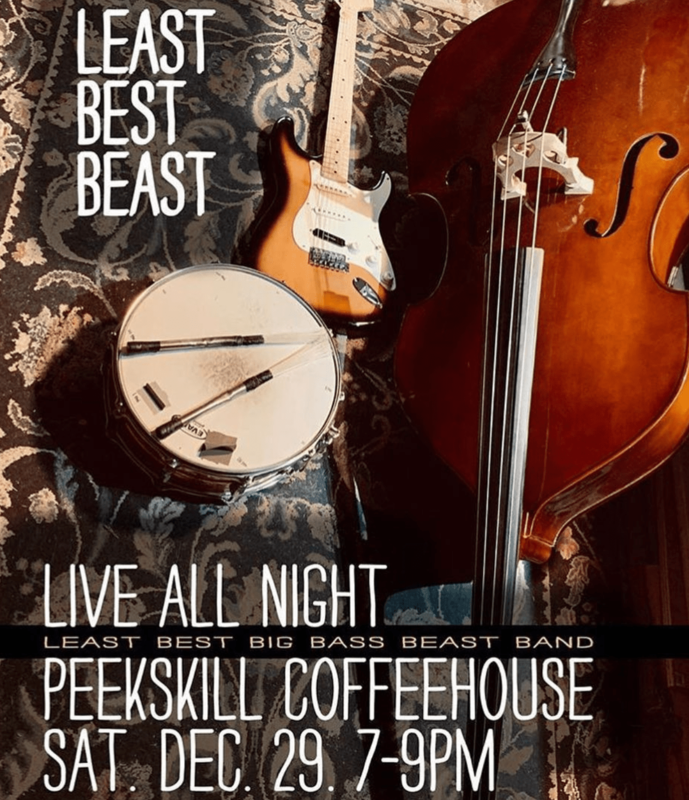 Future events will be added to our peekskill.rocks calendar. What’s Up Peekskill? Vortex, Schmortex. It’s winter, and its about time winter got around to rockin the cold. But it ain’t lasting long, so you’ll be stripping down for the rest of the weekend. If that’s not your thing, they’re making puppets at Hudson Valley Moca every Saturday in February. And don’t forget, it’s Super Bowl Sunday. So go show a ref what pass interference is and enjoy the game. OUTDoors @ 1 Bank Street, 8 am – 2 pm, every Saturday thru Nov 17th. So the icy cold don’t stick your tongue on the metal pipe weather is gone, and this spring-like warmth will be gone shortly too. Back to typical cold but not too cold weather. So whether (see what I did there?) you’re bummed out or happy about it, get downtown and wave your hands in the air like you just don’t care. Go build some Lego or play some board games at the library, or sing a ballad to winter at karaoke night, or just enjoy some live music at your favorite watering hole. What ever you do, P-rock it. You can’t make this stuff up. What’s up Peekskill? MLK and a Snow day! Hey Hey P-rockers! It’s Martin Luther King’s birthday and it’s gonna snow. Get your shovels ready, get your civil rights game face on and dig yourselves out from under. Then you can come downtown to celebrate Pooh’s and MLK’s birthdays and all that they stand for. You can also celebrate Peekskill’s first snow of the year. Shovel it if you got it. From the Peekskill Train Station to the Downtown Gazebo. What’s Up Peekskill? It almost a new year! Hello Peekskill! New Year’s Eve is Monday, are your balls ready to drop? Peekskill’s is! So come down on Monday for the ball drop, and come down this weekend for the usual live music. 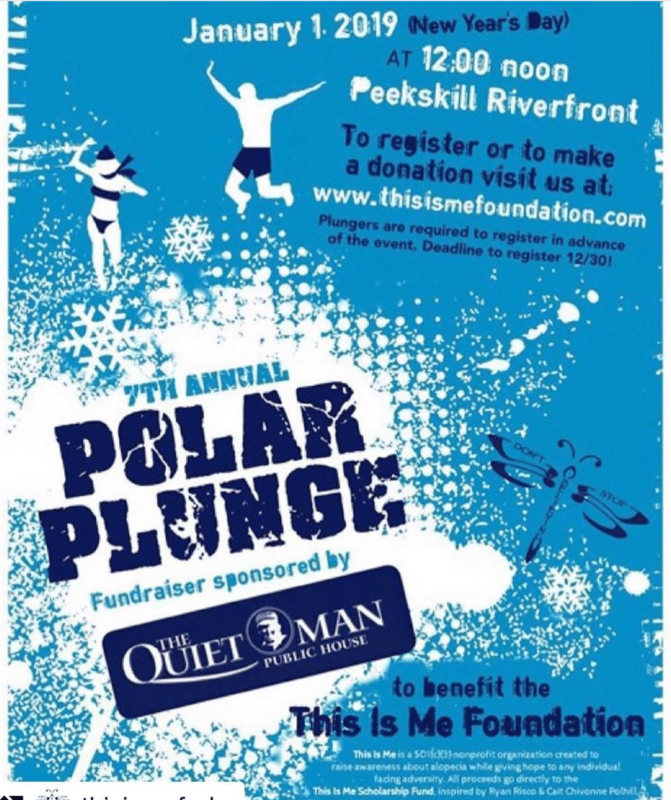 You can also jump in the river on Tuesday — take the polar plunge. Go crazy P-Rockers. Let’s party like it’s 1999. • Salsa With Grammy Award Winner Willie Torres! • Ring In The New Year! @ Downtown Peekskill — 10 pm. @ River Front Green – Noon. What’s Up Peekskill? Winter Solstice! Happy Winter Solstice P-Rockers! There’s a Cold Moon tonight, and if the weather clears up, you can catch the Ursid meteor shower. And no, the Cold Moon is not some trashy romance/revenge novel (well, it might be), rather it is the name of December’s full moon, like the Harvest moon in August. So stay warm and dry and have a Merry Christmas and a Happy Festivus. What’s Up Peekskill? G.O.T. is Back! What’s Up Peekskill? Winter’s back. HaHa April Fool. What’s Up Peekskill? Spring is Here!!! What’s Up Peekskill? Green Beer is Gross. What’s up Peekskill? Daylight Savings: Spring ahead!